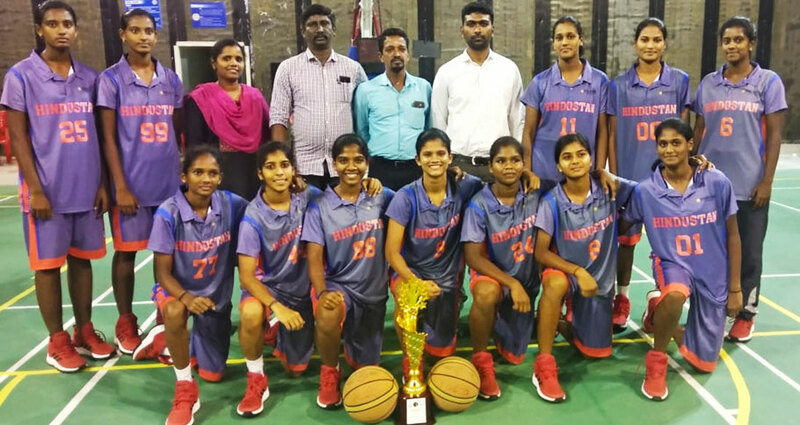 HITS Basketball Women Team won the Runners Trophy in the South Zone Inter University Basketball Women Tournament and enters All India Inter University Tournament. The event was organized by SRM Institute of Science & Technology from 3 to 8 November 2018. The team will now appear for the All India Inter University Tournament will be conducted in LNIPE, Gwalior from 26 to 31 December, 2018. SRM Institute of Science & Technology, Chennai.